We’ve been providing hard drive and RAID data recovery services since 2003. In that time, we have built our business around providing free evaluations and sticking by a strict “no data / no charge” guarantee. So we not only make the initial evaluation and recovery attempt risk free, we also stand behind our work 100%. For us to provide a guarantee like that, we have to be very good at what we do. 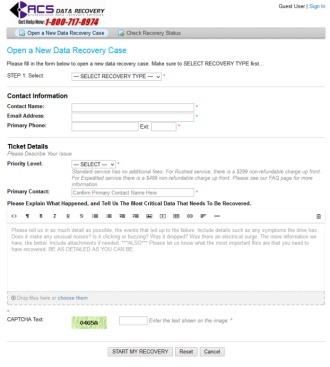 Think of it this way, the only way we make money as a company, is to successfully recover data. Why wouldn’t you want a company like that working for you? 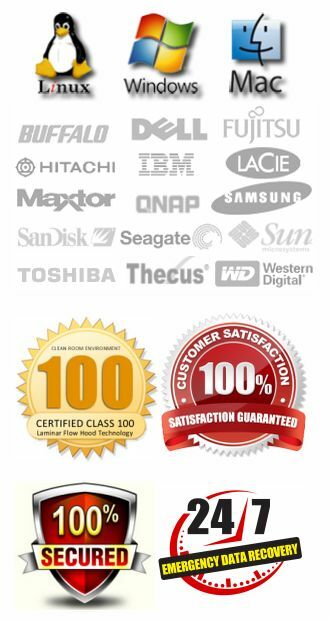 What Does ACS Data Recovery Offer? In almost all cases, if your data is unrecoverable, you pay nothing. The only exception to this is if a hard drive has already been opened prior to us receiving it. During the recovery process you will be kept up to date as your case progresses. We will issue updates at each milestone within the recovery effort. Most data recovery cases are completed within 5 to 7 business days using our standard service. Quicker service options are available. Even though we assign each case it’s own unique number, our customers are so much more than that. Over the years we have heard stories that are tragic, and the data that was lost may have been connected to a loved one that has passed away, or it may be months worth of accounting data that may ruin a business if it can’t be recovered, or it might be a photographer who has lost wedding pictures for their clients. We are with you each and every step of the way during this difficult time. You should get an idea of how we are different just based on the initial phone call to our lab. We are a bit smaller than some of the other data recovery companies that are out there like DriveSavers and Ontrack, so we are able to give you more personal interaction. You can even ask to speak with an actual recovery technician to address specific issues with your case and get a realistic assessment right over the phone. During our initial phone conversation we get as much information as we can about your situation so that we can diagnose the problem as accurately as possible. Please bear in mind, there can be a wide variety of reasons as to why a hard drive might fail, so you will most likely get a wide range of price quotes. It will be almost impossible to give an exact quote over the phone, unless the failure is completely obvious. Well not everything, but almost everything. The initial evaluation process is absolutely free on all types of storage devices. From small flash drives up to multi-drive RAID arrays, we never charge an evaluation fee. That means you can get an accurate, professional diagnosis of your media and it costs you absolutely nothing at all. If for some reason your data is unrecoverable, the attempt is free in most cases. That’s right, unless you have a complex RAID array with more than 4 disks, or the warranty labels have already been broken on your hard drive, there is no charge for the attempt. If the recovery is a success, we provide you with a free external USB drive which we copy the recovered data to, and we also provide you with free return shipping. 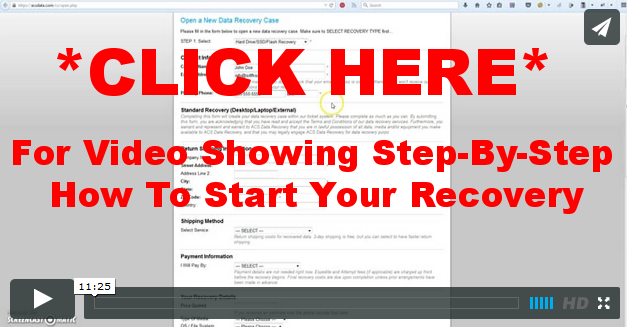 Data recovery is an extremely complex process and it doesn’t always work on the first try. Unlike many other companies, we will exhaust every possible effort to get your data back. That means we may have to go through multiple parts drives to get all of the data we can. It also may mean we spend days, weeks, and even months in some rare cases working on a recovery only to find it is not recoverable. We use every possible resource available to get your data back, and we won’t quit until there’s simply nothing else that can be done. Even though we are one of the more affordable data recovery companies out there, it can still be expensive to recover your lost data. This is especially true when dealing with major hard drive failures or RAID data recovery. We are one of the only data recovery companies to offer flexible payment solutions in some cases. This allows you to pay a percentage down, and then spread out the remainder of the cost over 3 or 4 months. The basis of our business for over a decade now has been to keep our customers happy. That is our number one goal. We will recover the data you are looking for, or you pay nothing. It’s as simple as that.